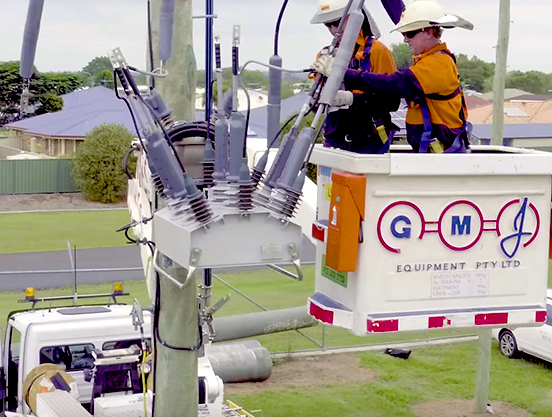 Occupational hazards are plentiful in the electricity industry, but advances in utility works practices and equipment standards has greatly improved the safety record of energy businesses. NOJA Power has been dedicated to improving the safety of distribution network operators, and the OSM Recloser is an example of the evolution of distribution switchgear. With a few innovations on Recloser technology, NOJA Power is providing class defining safety in outdoor pole mounted reclosers. Arc flash is often considered as one of the worst-case scenarios for distribution switchgear operators. Critical failure of assets through a connection of live equipment to earth in a contained environment can have devastating or explosive results. NOJA Power’s OSM Recloser is the only Solid Dielectric insulated recloser available today that has type tested controlled arc fault venting. In the unlikely event of an internal fault to ground, the total steel construction of the Recloser withstands the tremendous pressure, venting the overpressure through a purpose-designed chute on the back of the device. This technology directs any energy upwards away from the public, providing peace of mind to both operators and citizens alike. Safety designs are not only mechanical in the NOJA Power OSM Recloser. Incorporation of voltage sensing on either side of the Recloser provide interlocking functionality. Utility engineers can configure the OSM Recloser to prevent accidentally closing onto Live Loads, or even conduct a sequence check prior to synchronisation to ensure that no out-of-phase switching occurs. This advanced capability is available as standard in every NOJA Power OSM Recloser with RC10 or RC15 control, providing essential safety interlocks in critical connection environments. Always dedicated to innovation, NOJA Power have released the NOJA Power Mobile Application, which allows utility operators to securely connect, read and operate the OSM Recloser whilst standing at a safe distance. Industry best practice security ensures that only authorised users are granted access, with local access facilitated by the RC15’s integrated WiFi. Keeping operators away from live equipment assets provides excellent safety outcomes, as the degree of separation allows for the NOJA Power OSM Recloser to be interrogated and operated from a safe distance in hazardous environments. NOJA Power is dedicated to developing safe distribution technology to empower the world. The NOJA Power OSM Recloser is a testament to decades of experience in distribution switchgear technology. 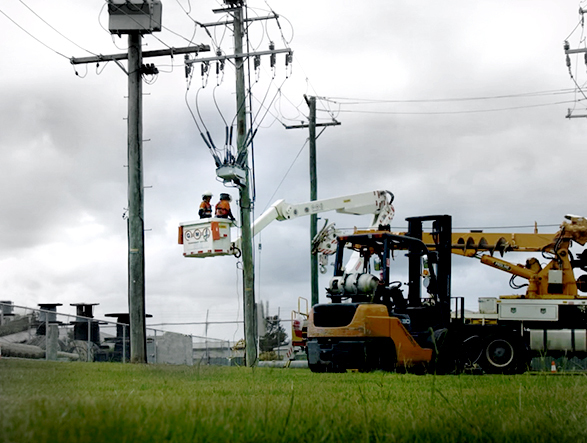 To find out more on how NOJA Power can improve your network safety, visit www.nojapower.com.au or contact your local NOJA Power Distributor.